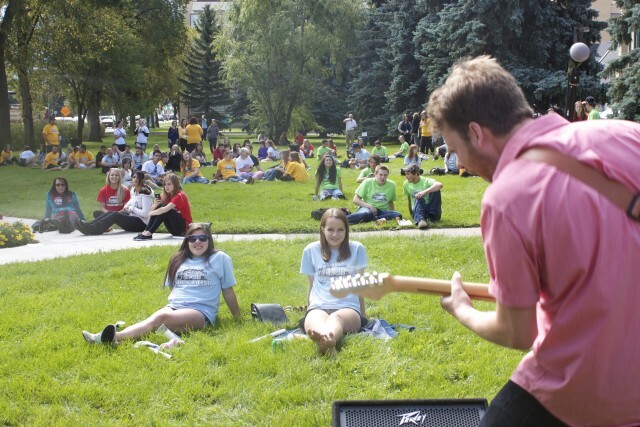 Local band Until Red entertains a crowd of first-year students at Orientation. 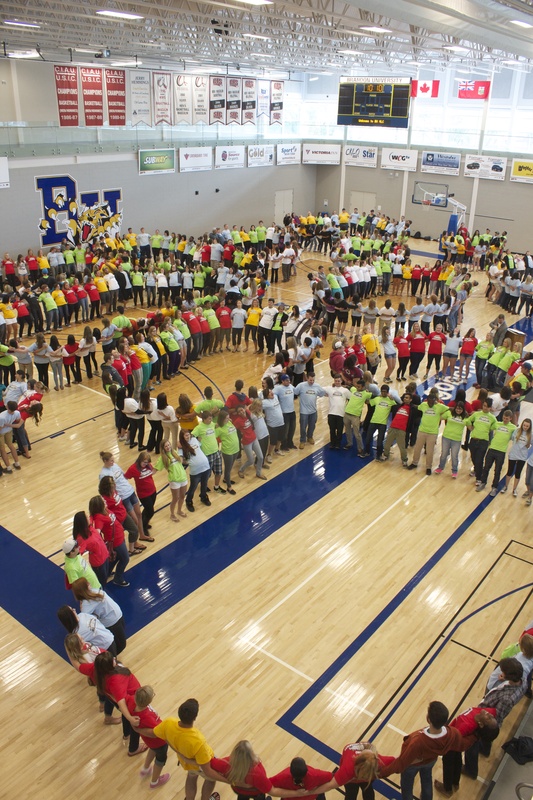 BRANDON, MB – The academic year begins next week with over 500 new students and 2,500 returning students embarking on a new fall term at Brandon University (BU). The first day of class is Wednesday, September 9th, but students will begin getting orientated Tuesday, September 8th. PUMP (People up Meeting People), a high-energy group-building icebreaker event, is always a big with all that attend. Orientation starts with students, family members and BU staff congregating in the Healthy Living Centre for a launch ceremony before the day and all its excitement begins. While most students will remain in the gym for a high-energy group building and icebreaker event, family members and mature/transfer students will each go to orientation sessions designed specifically for them.